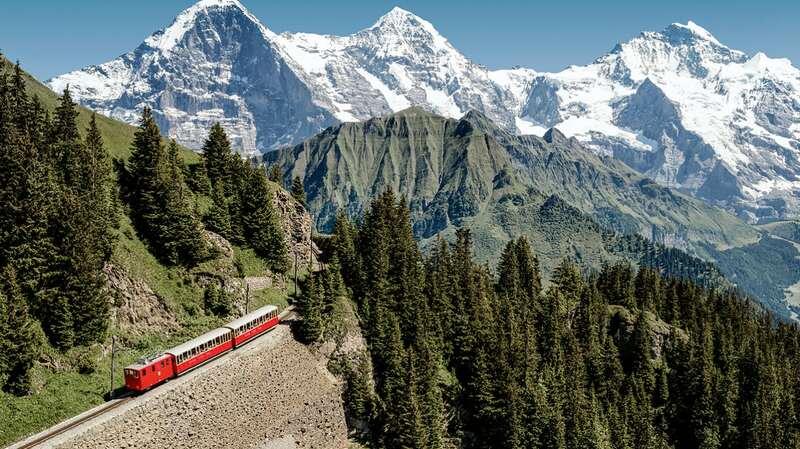 From which perspective do the Eiger, Mönch and Jungfrau look most impressive? 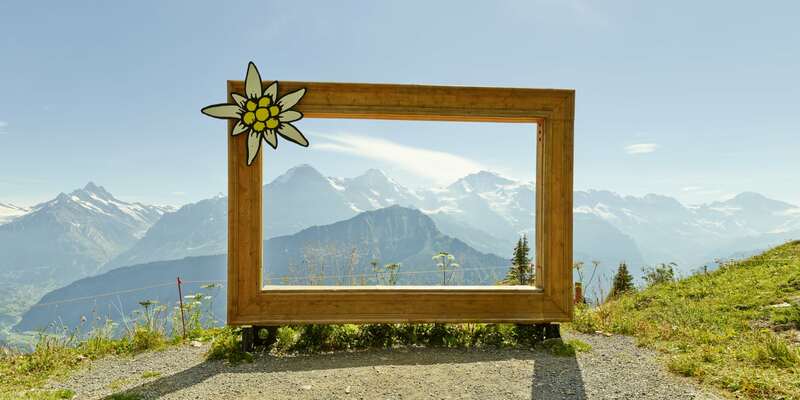 On the Schynige Platte everyone makes their own film: the nature cinema is open from June to October, a circular route at over 2,000 metres above sea level above the Schynige Platte railway station. On the way, wooden columns with spy holes frames that each provide a different view. The two huge picture frames provide a very big cinema: You can sit on its lower bar and take pictures with the triumvirate in the background. There's also a cinema for the ears. Take a seat on one of the wooden wellness benches, close your eyes and enjoy the local film music: the call of the alpine chough and the whisper of the firs. The pleasure of hiking with a stunning panorama from the Breitlauenen Station up to the mountain station of Schynige Platte Railway. 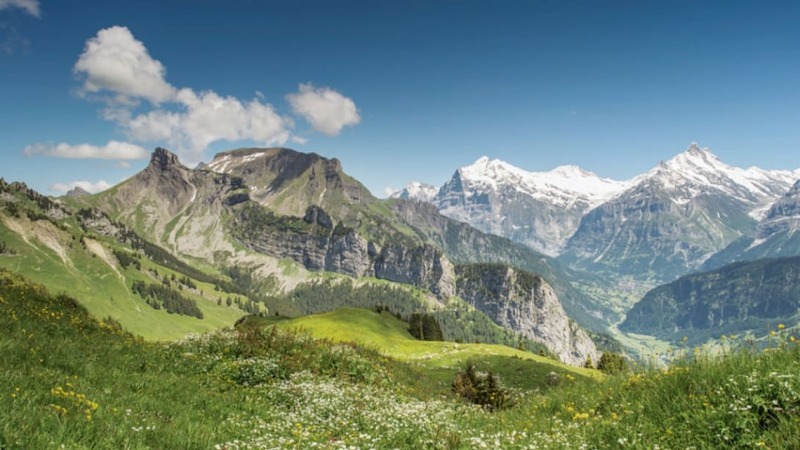 Hike over the classics of the Alps! The hiking trail leads from Schynige Platte via Faulhorn to the Firstbahn mountain station. 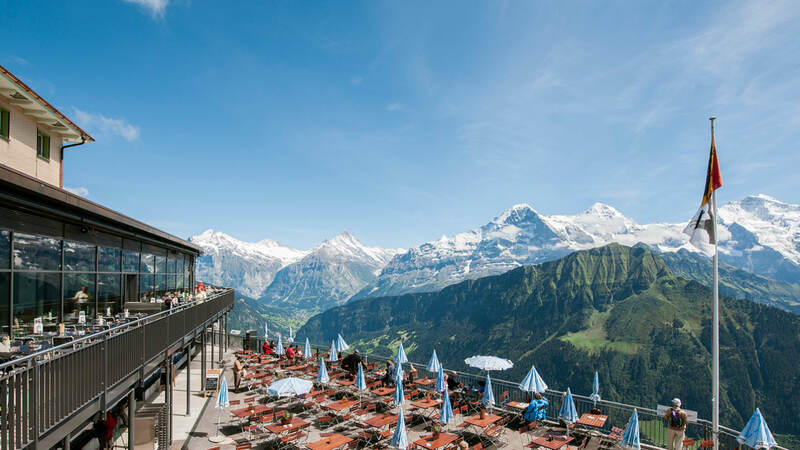 Every day from 14.05, the Schynige Platte Railway brings you a cup of warm tea with pastries for teatime at the Panorama Restaurant.